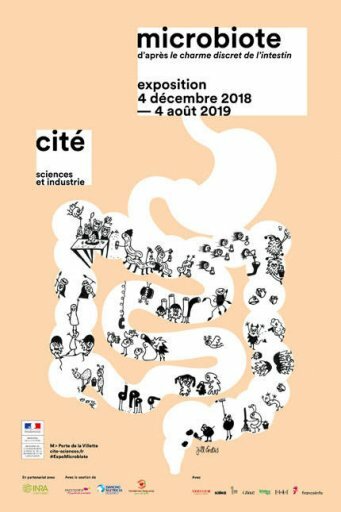 The exhibition Microbiota at Cité des Sciences Paris was inspired of the best-seller of Giulia and Jill Enders Gut: The Inside Story of Our Body’s Most Underrated Organ. These last ten years, searchers highlighted how important is the influence of microbiota on the rest of the organism, particularly on our defences and our behaviour. You’ll discover this inside universe and all the population that lives in it. It will be the occasion to learn how to take care of you. The exhibition is open from Tuesday to Saturday, from 10 am to 6 pm and on Sunday from 10 am to 7 pm. It was conceived with the help of INRA (Institut National de la Recherche Agronomique).